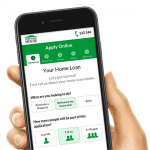 Leading Australian Home Lender, Mortgage House of Australia has today announced a reduction in interest rates offered on the ‘Advantage’ range of products. The reduction will be effective on new full doc loans under the range, generated from 12th April 2011. The product suite ranges from ‘The Conservative Home Loan’ with pricing from 6.81% p.a. (comparison rate 6.83%p.a. ); to the fully featured ‘Home Line (Line of Credit)’ with pricing ranging from 7.04% p.a. (comparison rate 7.20% p.a.). “We are very proud to announce this reduction in interest rates available to our new customers. With all Australians enduring increases in many other costs of living, Mortgage House is very proud to be able to provide some relief for our new customers. Interested parties can review full product specifications at mortgagehouse.com.au or contact their accredited broker or loan centre. Established in 1986, Mortgage House is a Home Loan Lender in it’s own right and has also retained it’s mortgage management & broking capabilities. The group has over 50 branches nationwide and also offers its range of products through a network of accredited brokers.